"Many Contemporary artists choose to use their bodies and performance art as a reaffirmation of their human presence and to bring together aspects of public and private, ephemeral and material. Extending ourselves, extending our bodies in time and space--isn't that the ultimate purpose of art, even of our lives?" James Luna // Residency 1/29-2/3, 2001 // Performance Sat Feb 3, 7 pm. James Luna is a Luiseno Indian who lives on the La Jolla Indian Reservation in Pauma Valley, Calif. Luna believes that installation and performance art, which employ a variety of media such as objects, audio, and video, offer a unique opportunity for Native American people to express themselves without compromising theit traditional art forms of ceremony, dance, and oral traditions. In his installations and performances, Luna addresses the mythology of what it means to be "Indian" in contemporary America, and exposes hypocritical attitudes and romantic stereotypes within mainstream and dominant cuiture. His work is provocative, often dealing with difficult issues affecting Native American communities, including socio-economic problems, substance abuse, and cultural conflict. 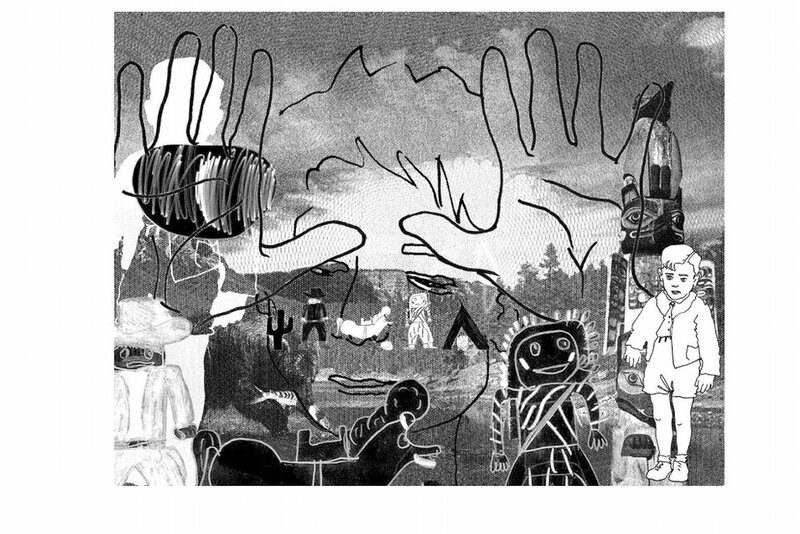 His works Take A Picture With A Real lndian and The Creation and Destruction of an American Indian Reservation: An American Dilemma bring us a greater appreciation of our differences and an enhanced awareness of our potential for understanding our basic human condition. Luna was born in 1950 in Orange County. Calif. He received his BFA in studio arts at the University of California, Irvine in 1976 and his MS in counseling from San Diego State University in 1983. 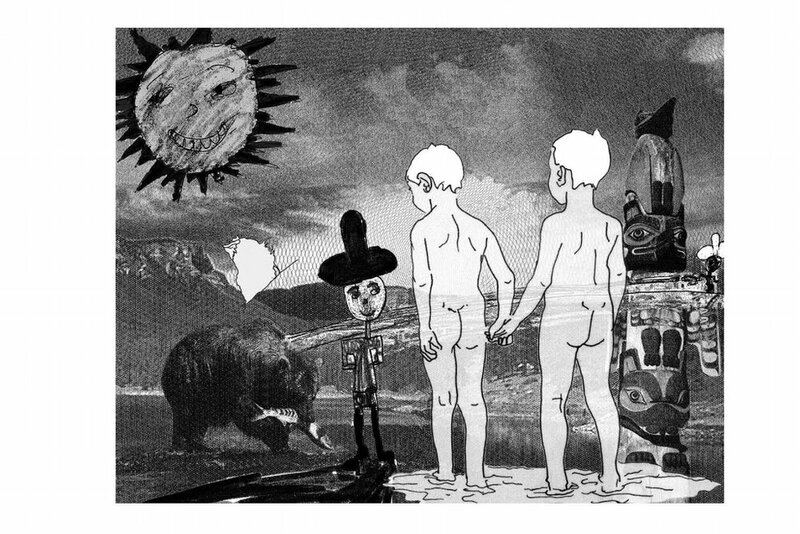 Luna has received many grants and awards and has exhibited his work in major museums and galleries in the U.S. and Canada. 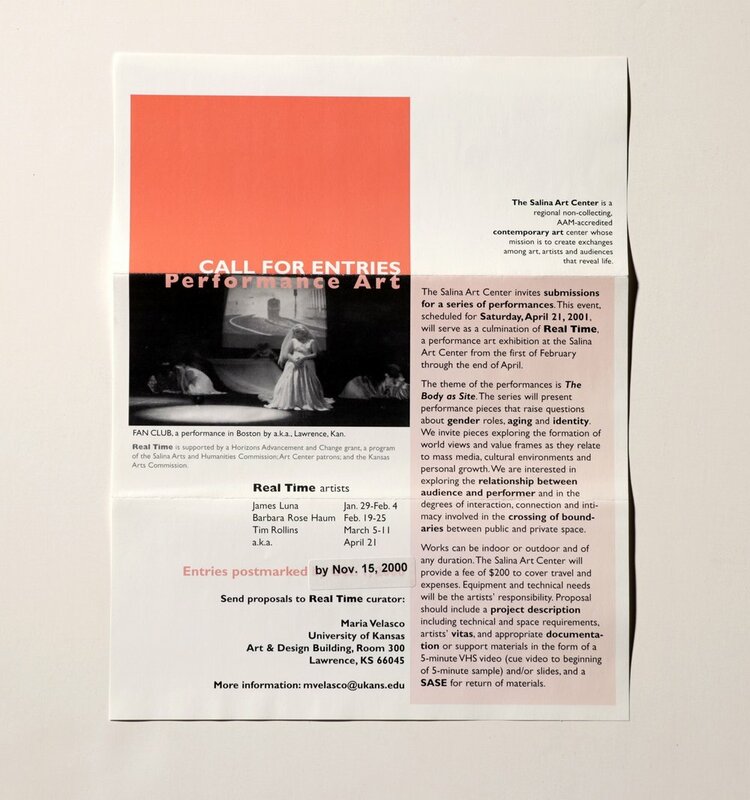 He teaches as a full-time academc counselor at Palomar College in San Marcos, Calif.
Barbara Rose Haum // Residency 2/19-2/24, 2001 // Performance Sat Feb 24, 7 pm. private rituals through which we form our intimate and social sense of place. "Spilling Ink" at the Salina Art Center will be the first of series of evolving perlormances that will take place in different locations from 200l-2003. The performances will be woven together through an interactive web page that will allow them to continue through electronic media. Haum was born in Frankfurt, Germany, in 1962, and much of her earlier work addressed her German-Jewish upbringing in post-war Germany. She received her doctorate in studio art in 1995 at New York University. She has received many awards and has exhibited her work nationally and internationally. Haum is currenlty an assistant professor at New York University in the Department of Culture and Communications. Tim Rollins and K.O.S. // Residency 3/5-3/10, 2001 // Opening Sat March 10, 7 pm. Tim Rollins and Kids Of Survival have worked collaboratively since the earty 1980s when Rollins took a teaching job in the South Bronx where he was asked to set up a special course for art for students with educational and emotional disabilities. Since that time, Rollins and his students across the country and the world have created works based on literary texts. Rollins believes that lhe process of making a work of art and the dialogue and insights of participating studenls from different backgrounds and economic conditions are integral to the work. By combining teaching, mentorship, and painting techniques. their approach to art Is performative. Through their interaction, they create works of artistic and social purpose. Rollins believes that through art, students wil have a presence and voice in the world. Shakespeare's A Midsummer Night's Dream will serve as inspiration for twenty-four Salina students who will work with Rollins in after-school workshops where a finished piece, And As Imagination Bodies Forth, will evolve through a process of tutorials, discussion, group consensus, and exhaustive preparatory drawings. Tim Rollins is a well-known, highly respected, and at times controversial figure in contemporary art. He was born in Pittsfield, Maine, in 1955. He graduated from the University of Maine and went on to the New York City School of Visual Arts and the New York University School Of Art Education. He lives in New York City where he is the founder of K.O.S. and the Art and Knowledge Workshop in the South Bronx. Works by Rollins and K.O.S. are represented in the permanent collections of museums across the country. a.k.a. // Performance Sat April 21, 8 pm. a.k.a. 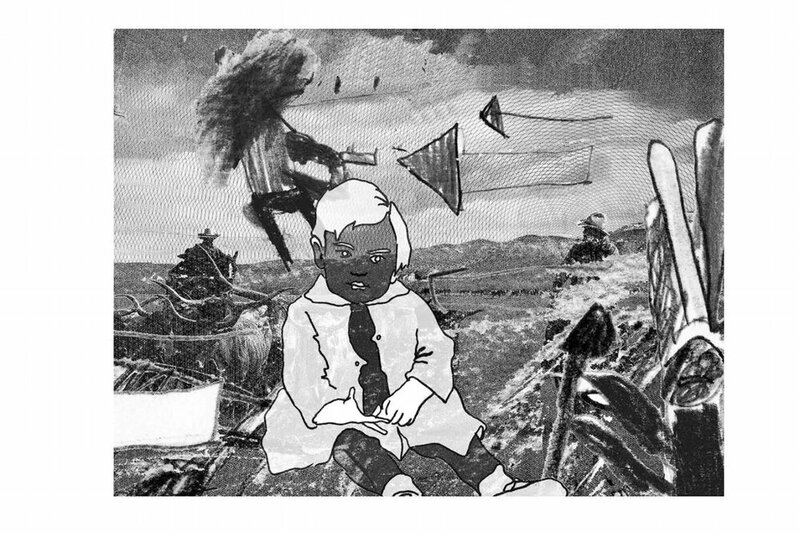 is a coalition of women artists who seek to investigate the realities of their lives and to express their findings visually through the medium of performance. By using familiar objects, words, and commonplace experiences, they transform the basic elements of their lives into the substance of their art. Their collaborative process results in a variety of interpretations of an Idea, embracing individuality within the framework of a group. The diversity of the group brings an element of tension to their work, often creating a contained chaos not so unlike life itself. White Noise is structured around a series of live-action performance segments interwoven with video imagery investigating perceptions of time, and focuses on all that is transient, fleeting, and impulsive in our lives, not the least of which is memory. It explores several personal readings of whiteness; the empty page and the notion of purity and of light, and of noise: a song, a breath, a slap, a prayer. a.k.a. performers will be Nicole Baron, Janet Davidson-Hues, Rachel Eilts, Keiko Kira, Mirja Koponen, Traci Tullius, and Cara Waltz. a.k.a. is a group diverse in age, experience, background, and lifestyle, spanning three generations and three continents, who perform together in various venues across the country. 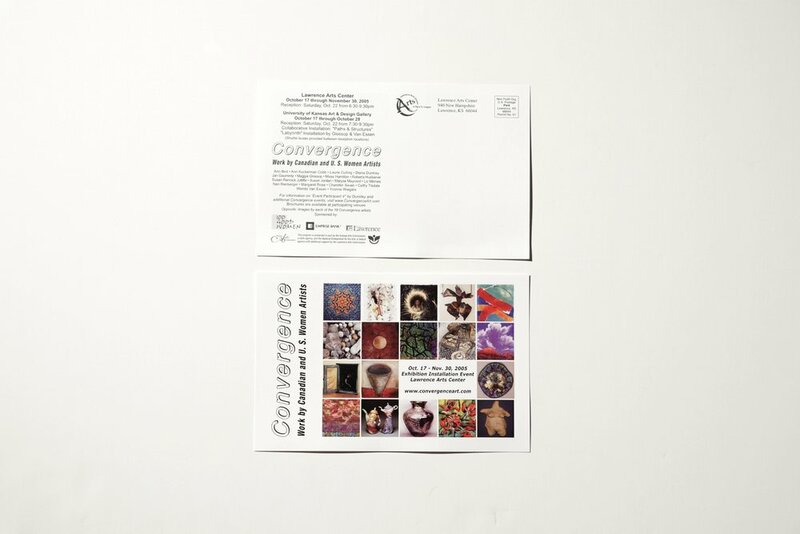 As individual artists they have exhibited their work regionally and nationally; as a group, they have presented their works across the nation. The group has received a grant from the Franklin Furnace Performance Art Fund to perform a major work that opened last fall at HERE Performance Cafe in New York City. JAMES LUNA, in residence at the Salina Art Center. Artist lecture Luna will show video and discuss his work, Wed, Jan 31, 7 pm, Art Center Cinema. t 50 S. Santa Fe, Free. James Luna Performances Take A Picture With A Real Indian (7 pm) and The Creation and Destruction of An American Indian Reservation: An American Dilemma (8 pm) Sat, Feb 3, Salina Art Center, 242 S. Santa Fe. Poetry Reading: Sui Translation: Translating for the Self, by poet James Thomas Stevens of Haskell Indian Nations University, Thurs, Feb 8. 7 pm. Free. Art Workshop: Image and Metaphor, an intergenerational self-portrait workshop for ages 12 and up with artist Lee Becker, Lindsborg. Participants will create a self-portrait incorporat1ng symbols, colors, shapes, metaphors and found objects. Sat, Feb 10, 10 am to 3 pm with lunch break. $20 per person. Call 827-1431 to enroll. Gallery Walk: Explore Luna's installation in the outer galleries with Art Center education coordinator Harley Elliott. Thurs, Feb 15, noon. Free. 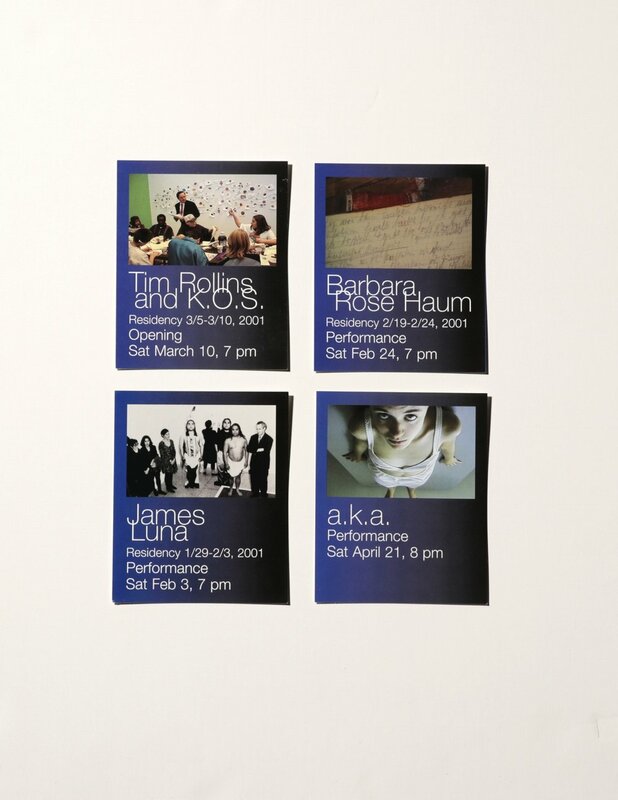 This performance was recorded for Real Time Exhibition at the Salina Art Center, Salina, KS, 2001. James Luna (Puyoukichum [Luiseño]) has performed this piece in various significant locations such as the Christopher Columbus statue outside the front of Union Station in downtown Washington, D.C.
BARBARA ROSE HAUM, in residence at the Salina Art Center. Artist lecture Renaming Visibility, Thurs, Feb 22, 7 pm, Salina Art Center, 242 S. Santa Fe. 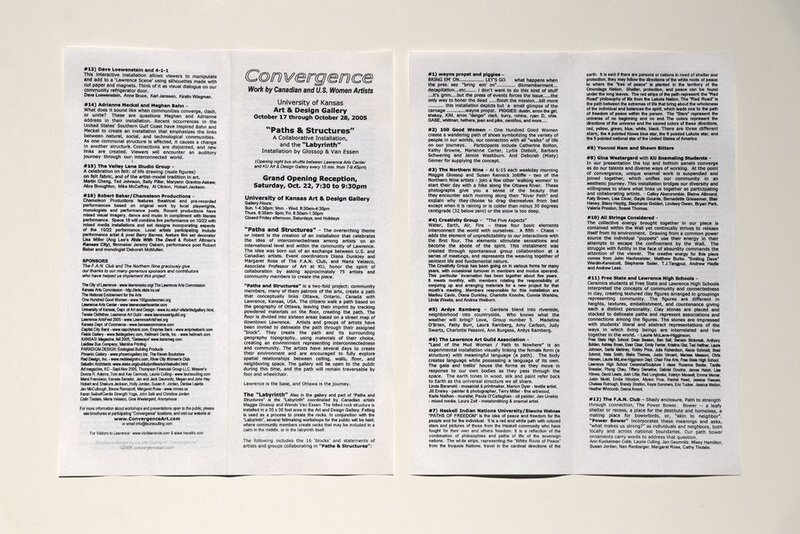 Barbara Rose Haum Performance Spilling Ink from Lunar Performances: Creating An Architecture of Text in Time, Sat, Feb 24, 7 pm, Salina Art Center. Gallery Walk: Explore Haum's installation with clinical psychologist Paula Fried, Fri, March 2, noon. Art Workshop: Life Patterns, a workshop on private and public ritual for adults with Fr. Frank Coady, artist Sandy Wedel, and clinical psychologist Paula Fried Discover the role of ritual in your everyday life, your religion and holidays, and create an icon or object to enhance or recognize your ritual experiences. Sunday, April t. 7-9 pm Free. Call 827-1431 to enroll. TIM ROLLINS & K.O.S., in residence at the Salina Art Center students March 5-9, 4-7 pm. 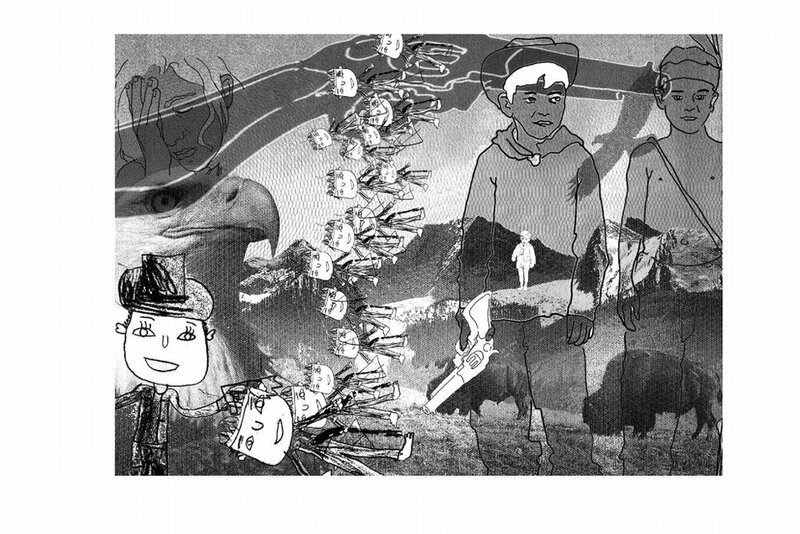 Artist lecture We Are Spirits of a Different Sort: Art, Youth and Transformation, Wed March 7, 8 pm, free. Educators Workshop Salina Public Library, Sat March 10, 1 pm, free. Call 827-1431 to enroll. Tim Rollins & K.O.S. Opening And As Imagination Bodies Forth, a collaborative work by Rollins and Salina students. Sat March 10, 7 pm. Community Open Mike: Thurs March 15, 7 pm. Call 827-1431 for information. Art Workshop: Collaboration Collage with Hugh Merrill of the Kansas City Art Institute. Sat March 17, 10 am to 4 pm with lunch break. $25 per person. Call 827 -1431 to enroll. Panel Discussion: Artists and Social Change moderated by Lori Brack. Thurs March 29. 7 pm, free. Performance Art Workshop with Roger Shimomura: Sat March 31, 1 to 4 pm, $15 per person. Limited enrollment. Call 827-1431 to enroll. Performance Art Cabaret: Sat March 31, 8 pm, free. CALL FOR ENTRIES: Performance Art. The Salina Art Center invites submissions for a series of performances. 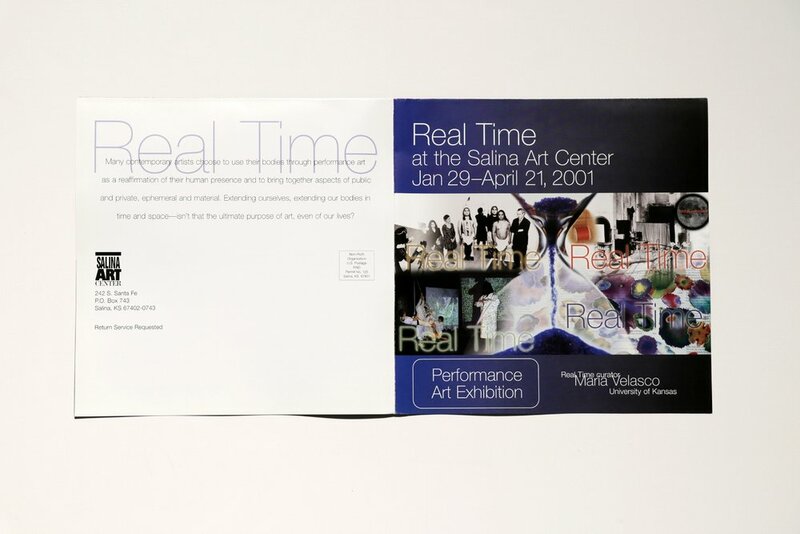 This event, scheduled for Saturday, April 21, 2001, will serve as a culmination of Real Time, a performance art exhibition at the Salina Art Center from the first of February through the end of April. 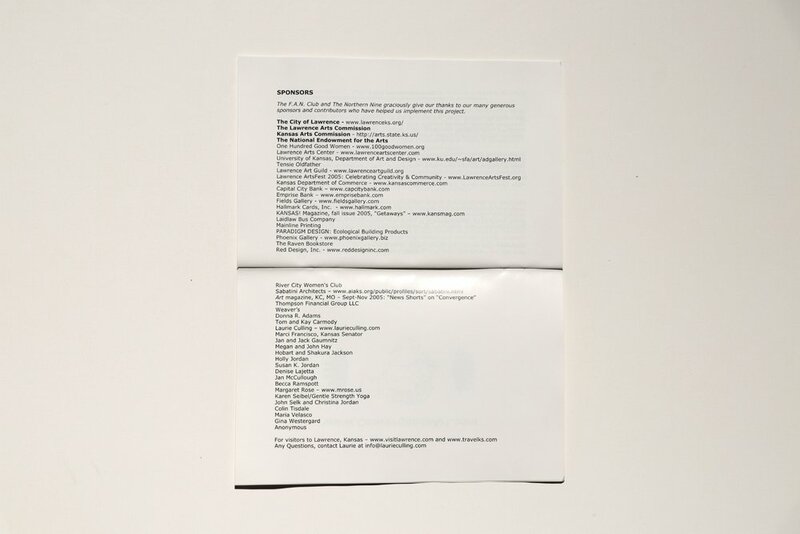 including technical and space requirements, artists' vitas, and appropriate documenta­tion or support materials in the form of a 5-minute VHS video (cue video to beginning of 5-minute sample) and/or slides. and a SASE for return of materials. 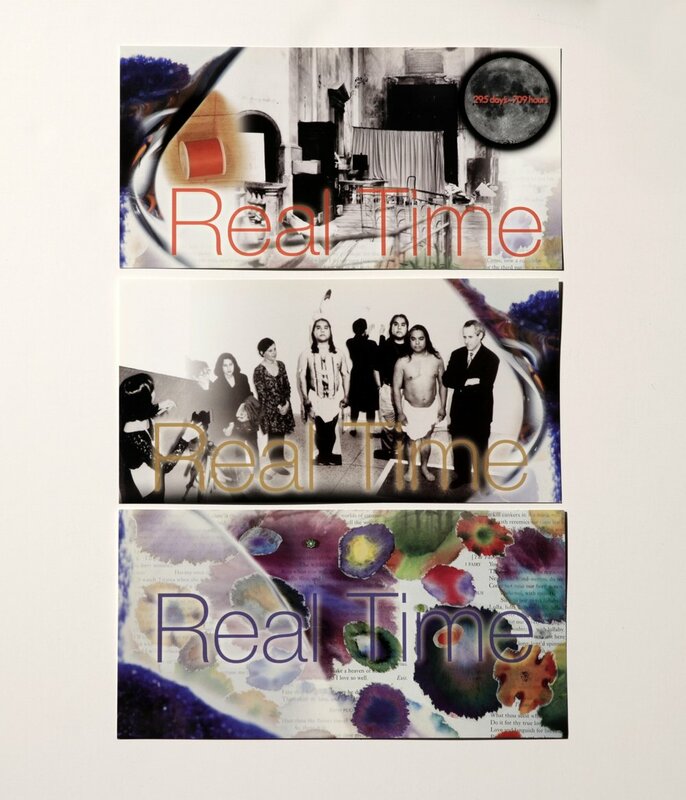 Real Time is supported by a Horizons Advancement and Change program, a program of the Salina Arts and Humanities Commission; Art Center patrons; and the Kansas Arts Commission. María Velasco, Co-Curator, with Participating Members, Women Beyond Borders, A Cross-Cultural Exhibition Honoring and Connecting Women Artists at the Onset of the 21st Century, Contemporary Arts Forum, Santa Barbara, CA. To learn more about this project, click here. "As contributing artist and team organizer of WOMEN/Beyond Borders, I learned to understand the world in a radically new way: one that is based in interaction and teamwork, versus the traditionally patriarchal view of individuality, competition and isolation. Woman is one and multiple at once; her strength resides in being so versatile to the extent that her individuality doesn’t feel threatened by working in collaboration. This attitude is very valuable and very rare nowadays. Collaboration, exchange, dialogue are the elements that contribute to the impact of a show like this. Woman extends herself and becomes “female”. Female exists beyond anatomical difference."